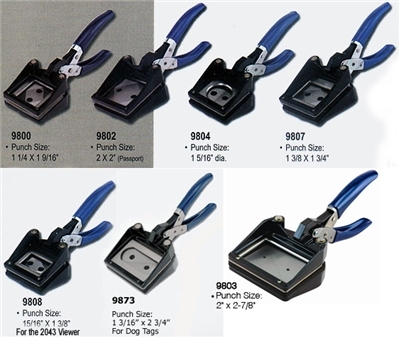 Our Handheld Photo Punches are manufactured for precision cuts and reliability. • Hand Held Punches fit comfortably in your hands are simple to use yet lightweight. • Many photo punches work with our photo keytags, keychaines, photo bobble heads & photo novelties. Most come standard with radius corners. Handheld Photo Punches are manufactured for precision cuts and reliability. Fit comfortably in your hands are simple to use yet lightweight. Photo punches work with our photo keytags, keychaines, photo bobble heads & photo novelties.